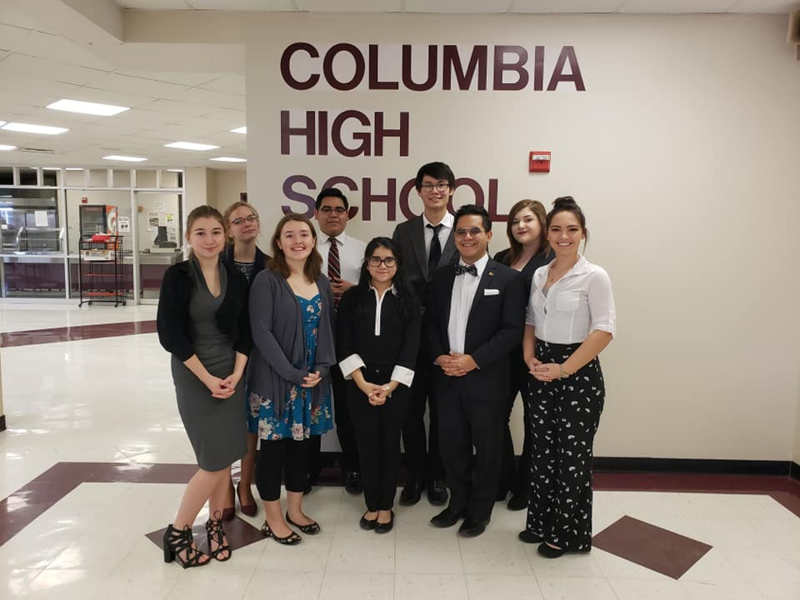 On Saturday, January 19th several members of the Leopard Players Speech and Debate Team attended the Columbia High School Tournament, and they came away with many awards. Lizzie M. - 2nd in Informative Extemporaneous Speaking & 3rd in Novice Prose, Jo V. - 2nd in LD Debate, Sky H. - 3rd in Storytelling & 4th in Senior Poetry, Sophia L. - 5th in Novice Poetry and the team of Kenny W., Reagan S., Kathryn L. & Joshua Ray V. placed 2nd in Group. Congrats Leopard Players!